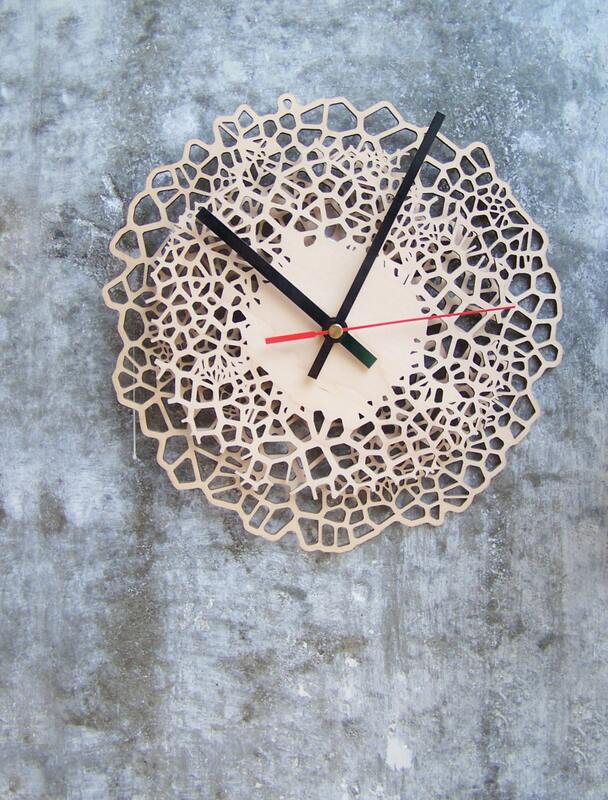 This wooden wall clock is made of beautiful birch plywood. 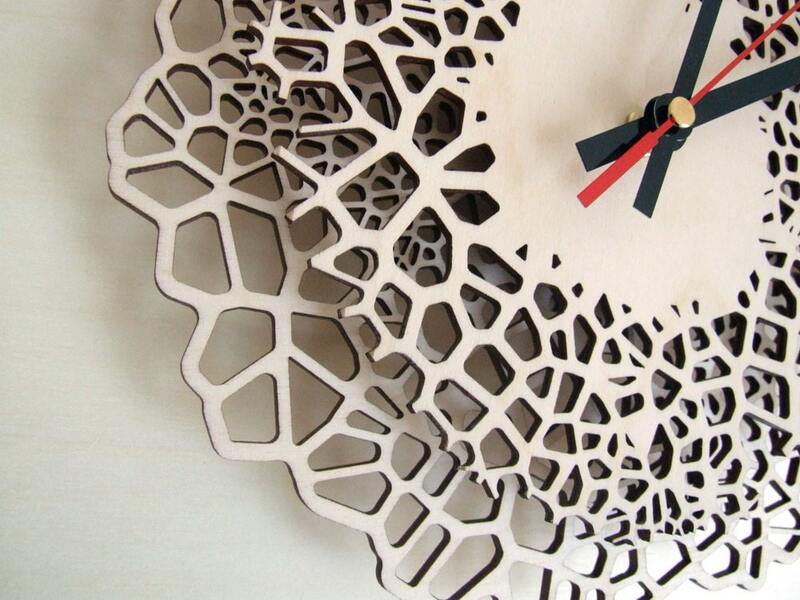 The organic shapes with a voronoi pattern are laser cut in our Studio in Rotterdam. Have you ever taken a close look at the spots of a giraffe? Or a microscope image of a leaf? Or the pattern of a turtle shell? 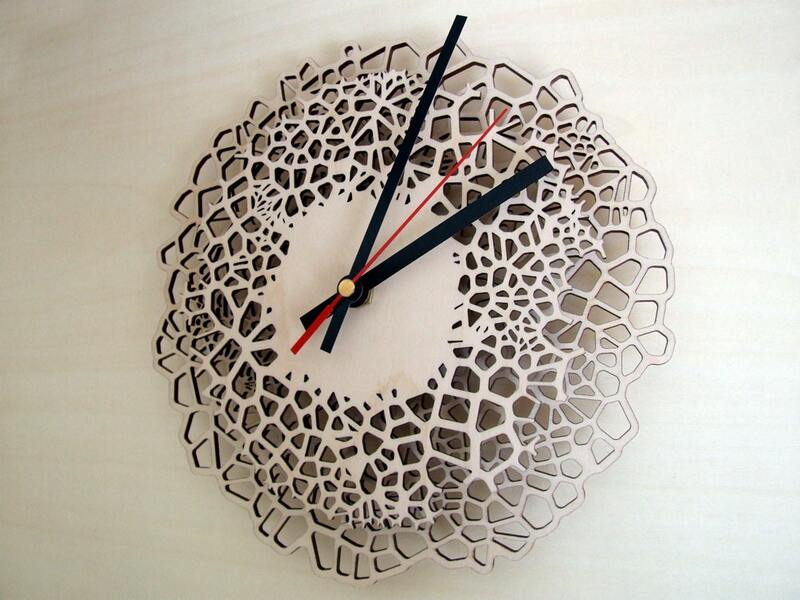 All these intricate patterns are made by nature but follow a quite simple mathematical formula. 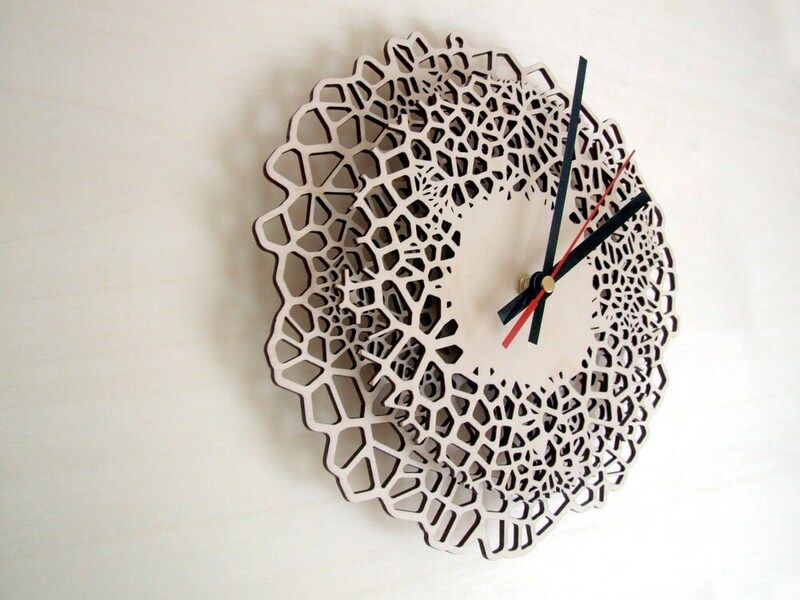 These patterns are called Voronoi. 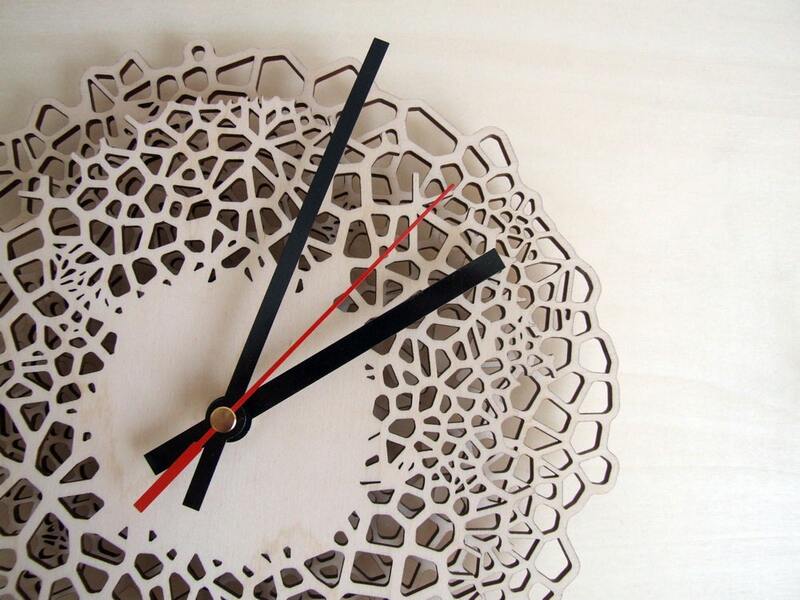 The Voronoi cells on this wooden clock are laser cut. The side of the wood is black, resulting in beautiful depth and contrast.